Time may move slowly for people in police custody, but there’s one part of the process that seems to move too quickly for some prisoners: the window between when bail is set and when they are moved to jail. 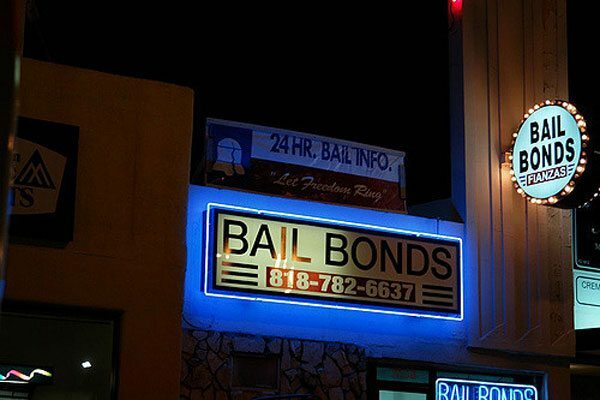 New York’s system for paying bail is long and complicated, and many prisoners are moved to jail facilities before their families can get them out. Mayor Bill de Blasio is working to reform this process, and in the meantime, nonprofits are working on a contract basis to help the city’s accused. After a study confirmed that “defendants with strong ties to the community who are released on their own recognizance return to court as frequently as those who post bail,” the CJA began working with defendants and their communities to work through the justice process. They do this by interviewing defendants about their ties to the community and what social services they might need, reminding defendants of court appearance dates, and, most significantly for many people, offering a bail expediting program. A study commissioned by the city this year found that “on any given day, three-quarters of the roughly 9,700 people held in New York City’s jails are awaiting the outcome of their case, nearly all of them because they cannot afford bail.” A 2013 study found that New York spends nearly $168,000 a year on each prisoner, or about $460 per day. That means that if CJA can help a family post bail before the bus leaves for Rikers Island, not only do they save a potentially innocent person a week in jail, but they save the city over $3,000. According to the New York Times, “Judges citywide set bail in roughly 45,000 cases each year, and only 12 percent of defendants can pay in time to be released from court. Another 46 percent end up going to jail for up to a week because they cannot pay in the narrow window of time between their arraignment and when the next bus leaves.” One woman reported that she called four minutes too late to post bail one afternoon; her boyfriend was already on the bus. One study came up with some easy recommendations to expedite this process: Allow defendants to write down the names and phone number of family members, for example, or use a less financially onerous payment method, like a credit card. Mayor de Blasio’s plan to close Rikers Island and cut the city’s jail population in half apparently includes implementing some of these recommendations, but they have not yet all been implemented.